artnet News’ Top 10 Most Expensive Living British Artists at Auction 2015 | BrownArtConsulting, Inc.
← Why do so Many Art Galleries Lose Money? This summer, we’re taking a look once again at the top ten British artists over the past ten years. Looking at the artnet Price Database, we kick off with the top artists by lot, and then give a list of artists by value over the same period. Comparing it to last year’s ten-year look at artnet News’ most expensive living British artists at auction, some of the same names pop up—Damien Hirst, Peter Doig, and Bridget Riley—though some of the rankings have shifted a bit. 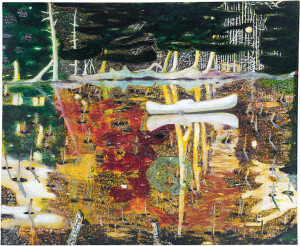 This year Doig edged out Hirst for the top slot after one of his paintings scored a record $25.9 million this past May. 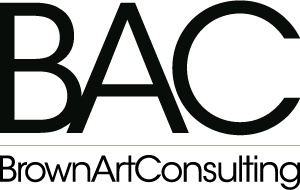 Among new artists who broke into the top slots this year were more YBAs including Chris Ofili and Tracey Emin. Also notable was the addition ofAnish Kapoor since many of the top prices garnered at auction tend to be for paintings rather than sculpture. Meanwhile, perennial contemporary favorites including Glenn Brown, David Hockney, and Antony Gormley hold their respective rankings from last year. This entry was posted in Art Market, Artists, Whatever?! and tagged Anish Kapoor, Antony Gormley, Art, Art Market, Artists, Artnet, Artnet News, Banksy, Bridget Riley, Chris Ofili, Damien Hirst, David Hockney, Frank Auerbach, Gilbert & George, Glenn Brown, Investment, London, Money, Painting, Peter Doig, Sculpture, Tracey Emin, Whatever? !.